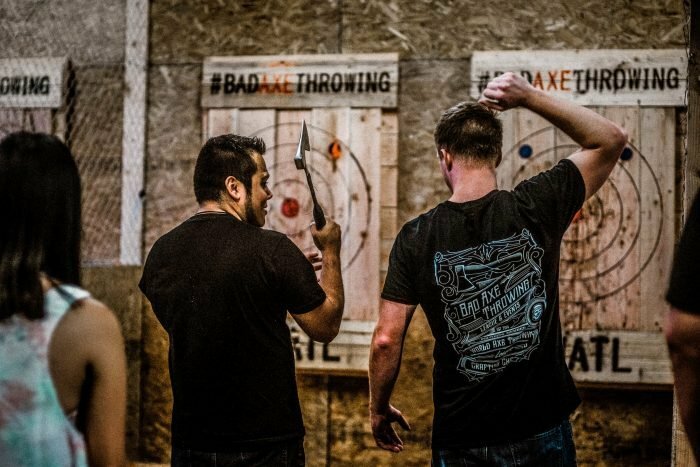 Bad Axe Throwing was originally founded in the fall of 2014 in Burlington, Ontario Canada. It wasn’t long thereafter we realized people LOVE axe throwing. Expansion started in Canada, opening locations in Toronto, Mississauga, Ottawa, Surrey, Winnipeg, and Edmonton to name a few. Our Chicago location was our first venture into the US, opening in the fall of 2016. 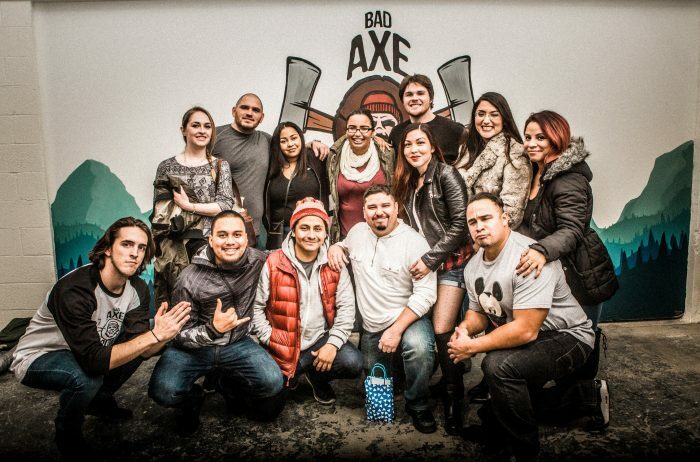 Bad Axe Throwing is now the biggest urban axe throwing club in the world. We currently have 17 locations across Canada and the US. The expansion doesn’t stop there, we’re thrilled to share we’ll be opening a location in Pittsburg! We’re a premier destination for birthday parties, corporate events, bachelor & bachelorette parties & all other types of special occasions. No need to worry if you’re new to axe throwing. We’ll bring out your inner lumberjack/lumberjill and we’ll have you hitting the bullseye in no time! Our professional axe throwing coaches will teach you how to throw an axe, conduct fun games and host a competitive tournament to crown a champion! We’ll be hosting a huge Open House for our new Pittsburg location which will include FREE axe throwing lessons all weekend long. Axe throwing event will be offered at a flat rate of $35.00 per person! We will also be hosting axe throwing leagues which is operated by The World Axe Throwing League. Be sure to check for more updates on our Facebook page.